You want plums? Trust me, we have some. 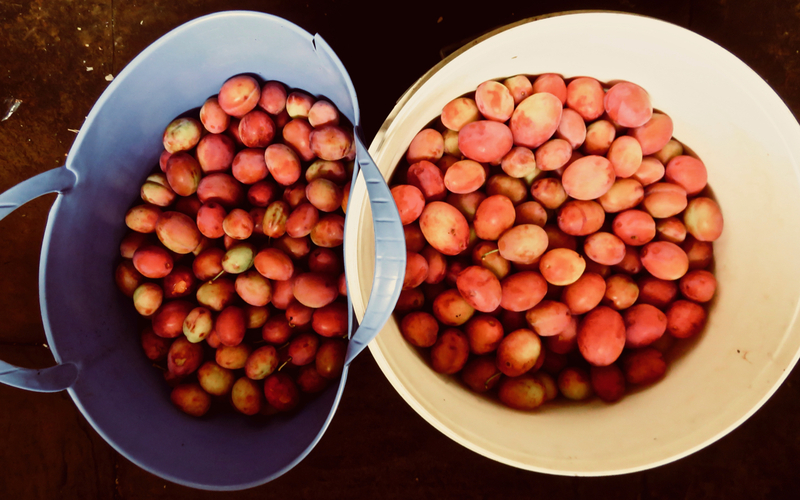 But seeing as we don’t have a transglobal shipping service to hand, our ability to export this year’s handsome plum crop is limited to putting them in plastic bags and giving them away for free down at the pub, or cooking them up into what preserves we can. Hence, plum ketchup. If you want the recipe it’s towards the end of Delia Smith’s Complete Cookery Course and I followed it religiously, as one should always do with Delia’s guidance. 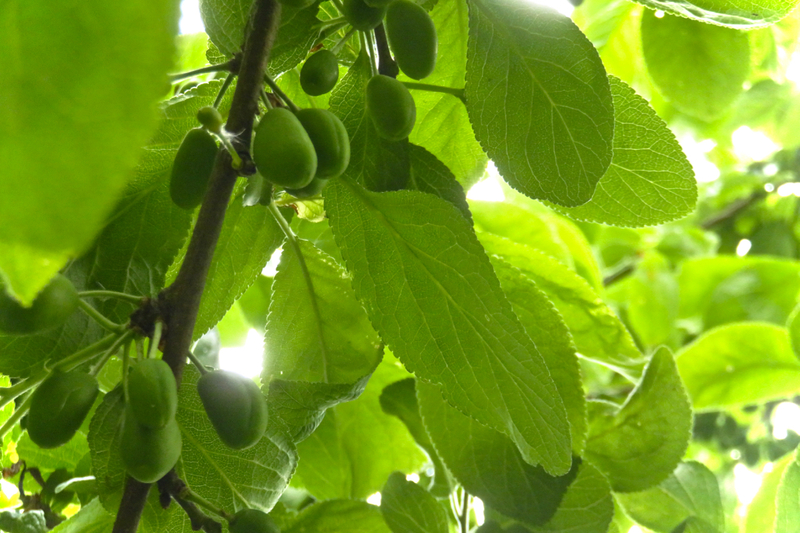 In both 2013 and 2015 our plum tree fruited in ludicrous profusion. 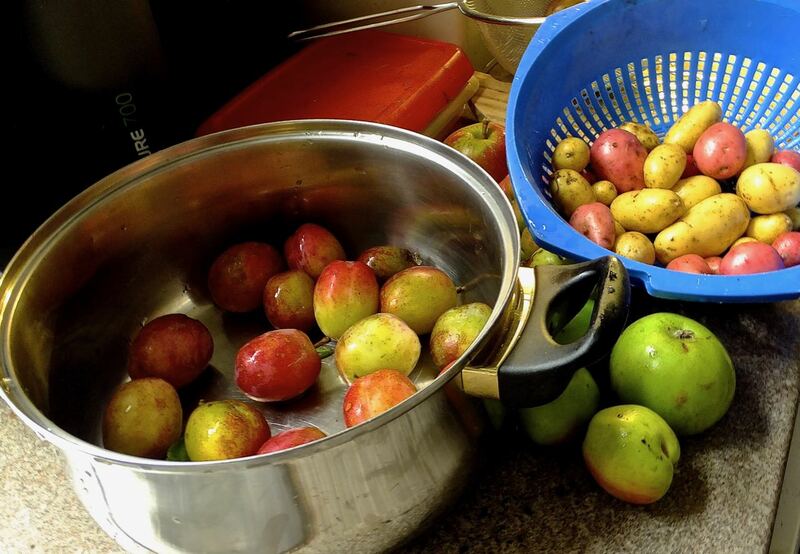 In 2015 we were taking bags of fresh plums down to the pub and giving them away, we had too many to use: the tree produced about 45 pounds of fruit (20kg) that year. Not so much in the last couple of years — but looking at it right now, it’ll be a bumper harvest in 2018. As long as the branches can bear the weight. Always a pleasing event of the year. Not many blackberries around yet, but they will come. 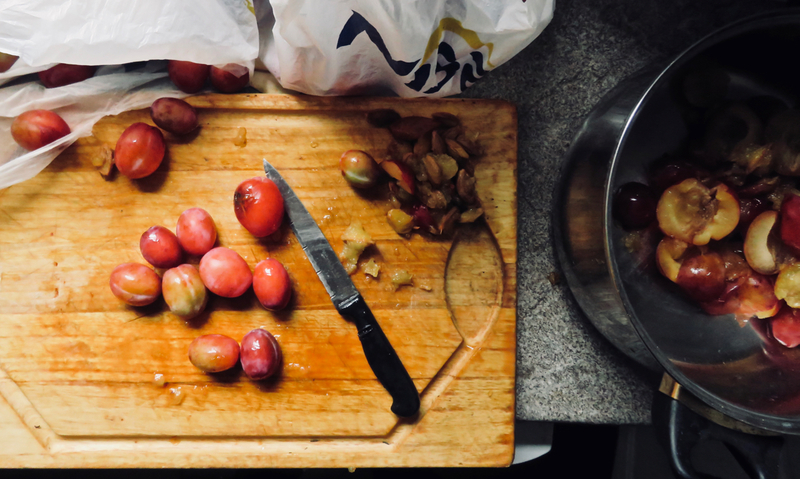 Plums… for us will, I hope, be just as much in glut as they were two years ago. Believe me, if you live in Hebden Bridge and want cheap plums, give us a couple of weeks, we will be overflowing.